Have I ever mentioned that Thursdays are my favorite? They so are! Thursdays are typically filled with: a half-day at work, a Target run, an iced mocha :), an easy afternoon with John, dinner with friends (I don't have to cook! ), & it sparkles with promise of the weekend! I count Friday as a weekend day. This post is super-random, but that is pretty fitting for my blog. As I look through old posts I think about how I started this to keep a sort of scrapbook of my family, but it's kinda morphed into so much more. I've totally been using it like a diary! I guess the writer in me just couldn't help it. 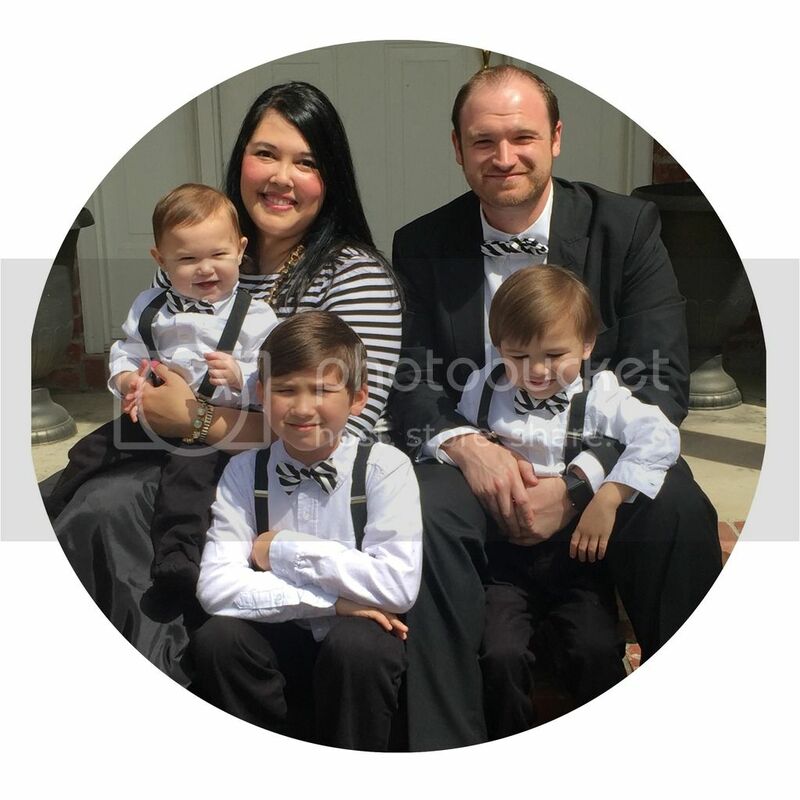 This post just adds to the quirkiness of my blog. I am SO ready for Spring I can taste it! You can tell in my latest purchases. 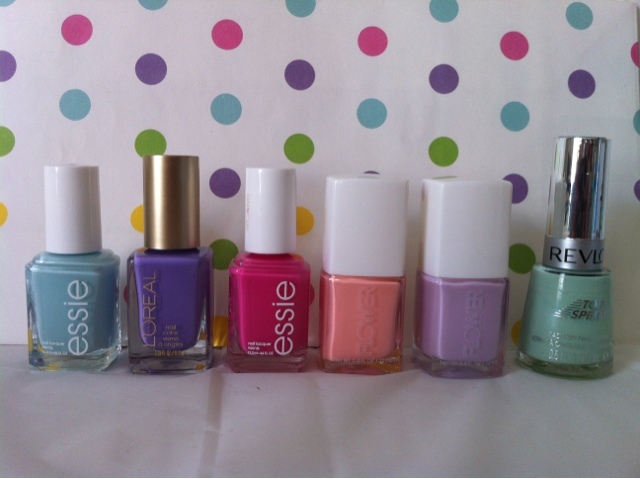 I've been stocking up on pretty bright & pastel nail polishes lately. Just getting one or two when I grocery shop. (Plus, nail polish always "fits"! Can I get an, "Amen!"??!!) 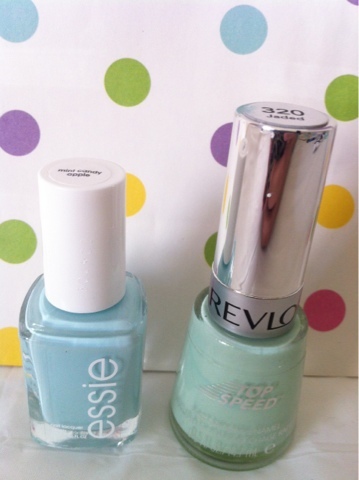 I amassed this new collection while on the hunt for the coveted Essie color: Mint Candy Apple. I finally found it today! I'm trying to match a new cardigan. In my head it was the perfect shade...until someone compared it to Tiffany Blue. Seeing it in the picture brings out even more of the blue hue. In-person, they look more similar. So, while I was looking for the Essie section, I found Revlon Jaded, which really might be the perfect matching shade! The two bottles with the big white tops are by the brand Flower. I've never heard of it, but I loved the shades (I've been looking for a pastel coral color), so I want to try them. I'll do reviews once I've tried them. So what color am I wearing now??? Nothing! Ha!! I haven't found a long enough window of time to not need my hands! Oh, the life of a Mommy. 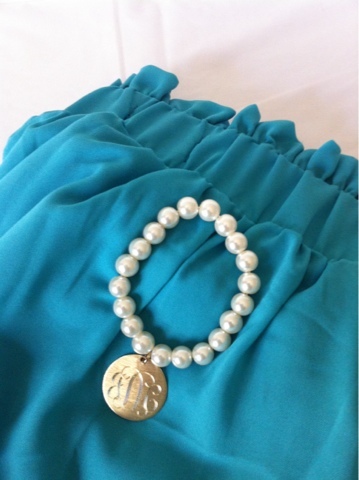 A couple of other fun purchases: a pearl bracelet with a monogrammed charm & a high-low skirt (mullet skirt as the Hubs would say). I had an Origami Owl jewelry party two weeks ago & fell in love! 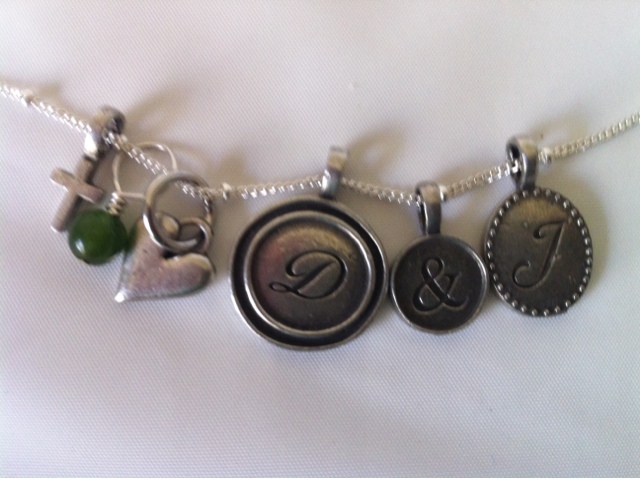 I have the best friends & my party did so well that I was able to get two necklaces & a load of charms. This one is the one I wear w/ casual stuff. I'll show y'all the locket one later. Y'all have a Happy Thursday! !